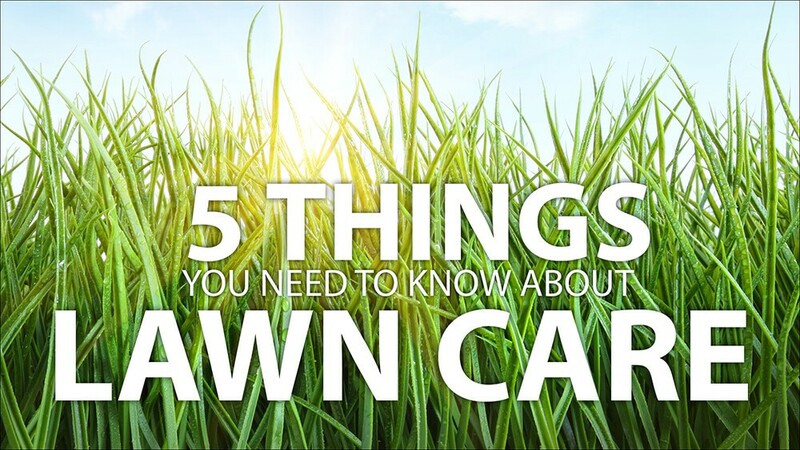 Whether you are just beginning your journey or have been working towards a beautiful lawn for years, we have come up with some essential tips for having the healthiest lawn with lush green grass. Weeds are undesirable plants that can be a nuisance to your lawn. To begin getting rid of those pesky plants, it is important to make sure that the pH of your soil is balanced properly. A pH that is too low means your grass will be highly acidic, and proper absorption of nutrients cannot occur. Your grass will do best at a pH that is between 6.5-7. To get your desired pH level you can add lime to the grass. Very few weeds are comfortable in soil with a pH around 7. Fertilizers are found in a variety of different mixtures. When you pick up a bag of fertilizer, you will notice a set of three numbers at the bottom which represent the percentage of nitrogen, phosphorus, and potassium respectively. Existing lawns will require a higher percentage of nitrogen because it is needed for most processes in plant growth. For new growth, a percentage of phosphorus is required to establish roots, Potassium is required to regulate metabolism and water pressure. If you are starting a new lawn, it is really important to use a product specifically designed for that purpose. Scotts has a starter blend called “Food For New Grass” that contains all the nutrients you need to help develop the root structure which is necessary for a new lawn to thrive. Most of the fertilizers do not have the phosphates you need to develop this structure required to establish the lawn. Organic fertilizers such as alfalfa play an important part in the development of soil structure. Living things such as bacteria, fungus, and worms, which make plants the healthiest, require organic soil to grow. Although you do require more organic fertilizers in the beginning stages of lawn care, eventually your lawn will require much less fertilization. You can fertilize with organics any time throughout the year, but it is best to do it when you know there is some rain in the forecast as it helps the fertilizer move down through the soil. The organics take longer to work, but they last longer and eventually less is required. The best time to fertilize the lawn is in the fall, but if you plan to do it more than once a year, you should also fertilize once the snow has left and green grass begins to grow. Again, it is best to fertilize when you know there is some light rain in the forecast as it will move the fertilizer through the soil. Chemical fertilizers do not help with the organic structure of the soil so doing a combination of both organic and chemical will give you the best results. It is easy to think that more is better, but when it comes to chemical fertilizers this is not true. Use as directed or it can have detrimental effects on your lawn.